One-of-a-kind watches featuring exceptional movements and cases, these two new creations are inspired by what was the world’s most complicated wristwatch launched in 2005: the famous Tour de l’Île by Vacheron Constantin, paying tribute to 250 years of watchmaking expertise cultivated by the Geneva-based Manufacture. Respectively displaying 16 and 15 complications between the two front and back dials, these two masterpieces once again showcase Vacheron Constantin’s expertise in combining a wealth of complications within a small space and magnifying them by remarkable Artistic Crafts. 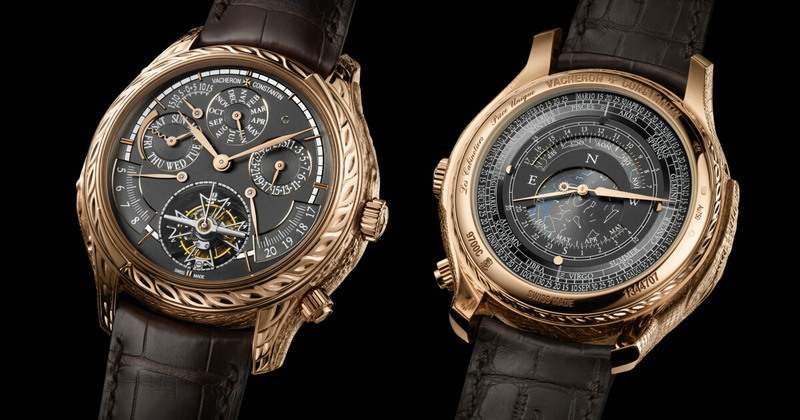 These two creations are the work of Vacheron Constantin’s exclusive Haute Horlogerie “Les Cabinotiers” department, which reconnects with the era when the highly specialised Geneva watchmakers – the cabinotiers – worked in attic ateliers as they crafted one-of-a-kind watches commissioned by prestigious clients. Each of these inherently rare models reflects this philosophy combining horological excellence, artisanal expertise and unique artistic creations. In addition, they proudly bear the Hallmark of Geneva, meeting the many demanding criteria of this independent quality label. The manual-winding calibres of these two one-of-a-kind models represent an impressive accomplishment in terms of both miniaturising and engineering. They respectively drive 16 and 15 complications, mostly astronomical. 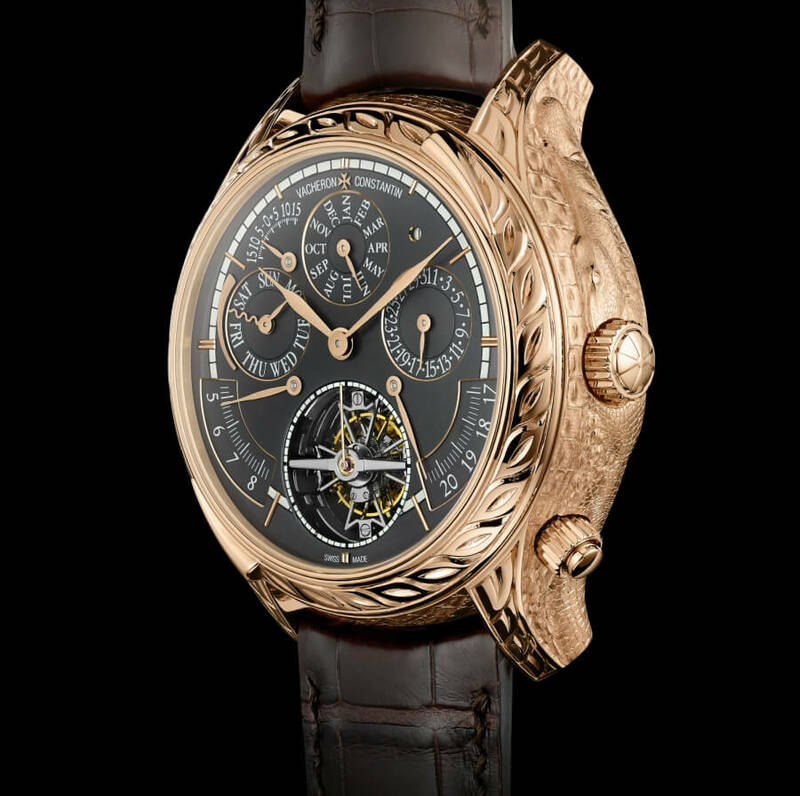 In addition to the hours and minutes, the first (front) dial displays 11 other functions: minute repeater, equation of time, tourbillon, perpetual calendar indicating the date, day of the week, month and leap years, power reserve, as well as sunrise and sunset times. 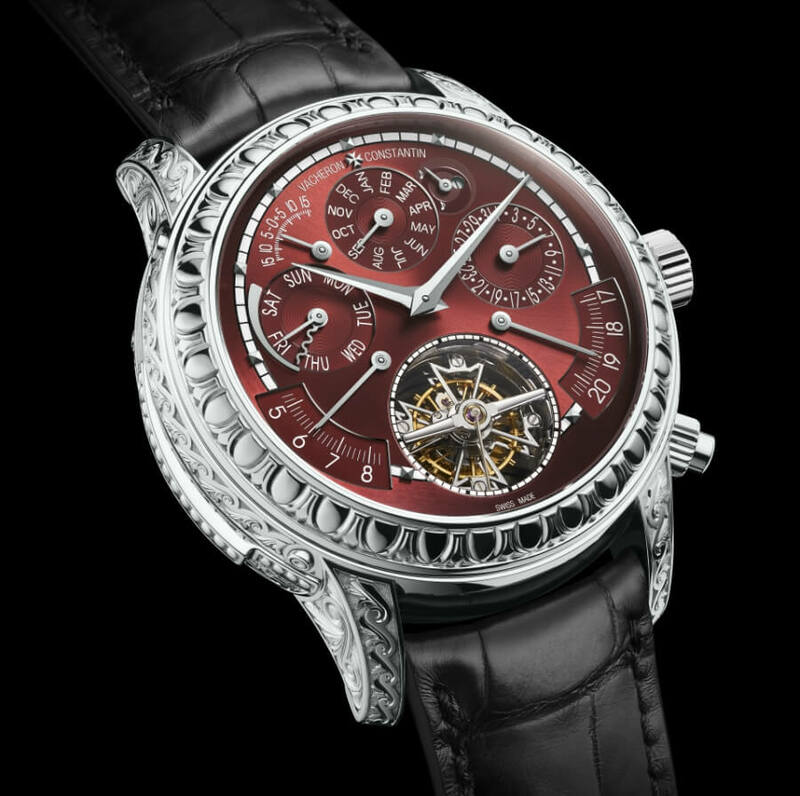 Les Cabinotiers Grande Complication “Ornementale” also bears an indicator of striking mechanism torque (the power reserve of the minute repeater). 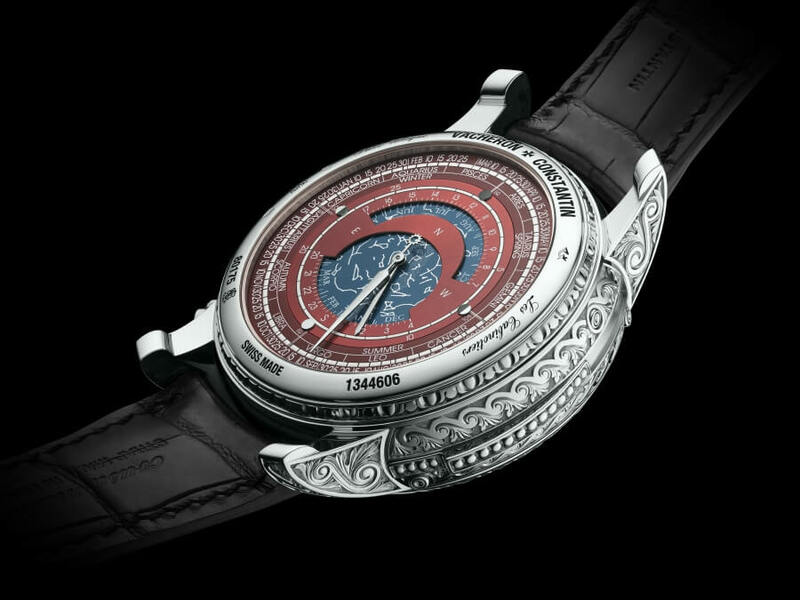 The second (back) dial features an array of fascinating astronomical complications: sky chart, equinox and solstice, sidereal hours and minutes, age and phases of the moon, as well as seasons and zodiac signs. 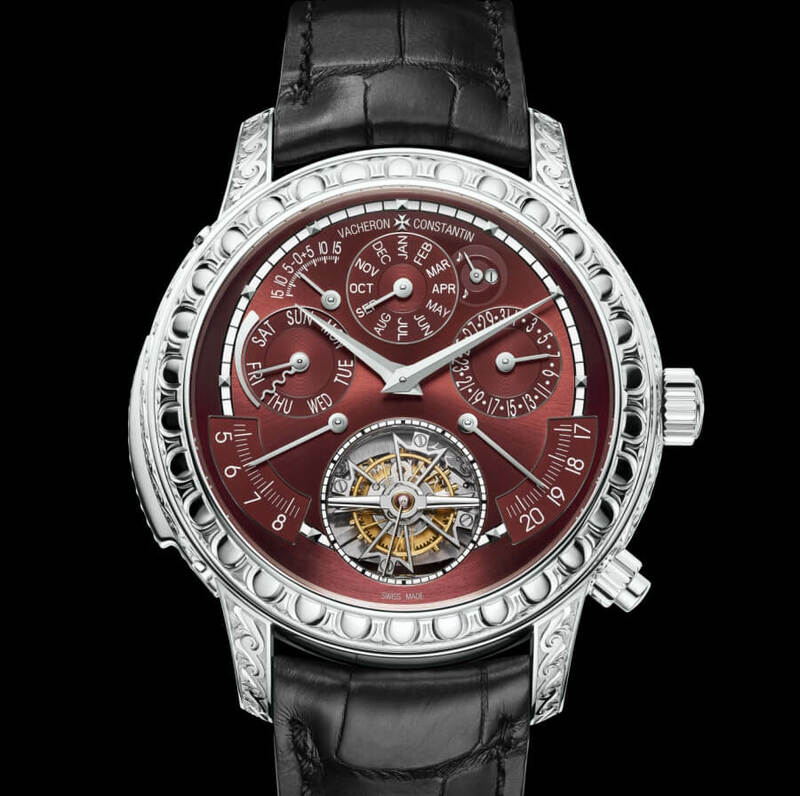 On the front, the various major complications are displayed with exemplary clarity and distinction. Embodying accomplished horological expertise, the minute repeater striking the hours, quarters and minutes on demand is equipped with an ingenious centripetal flywheel strike governor. Perfectly silent and preventing undue wear of the mechanism, it regulates the duration of the musical sequence in order to ensure melodious and distinctly audible notes. The tourbillon, a signature of horological excellence according to Vacheron Constantin, is equipped with a carriage shaped like the Maltese cross emblem of the Maison. The tourbillon rotates at a rate of one complete turn per minute, making light of gravity in order to improve the movement’s precision and also serving as a small seconds display. Meanwhile, the perpetual calendar, the “memory of time to come” is capable of keeping up with the complexities of the Gregorian calendar without any need for human intervention other than a date change every 400 years. 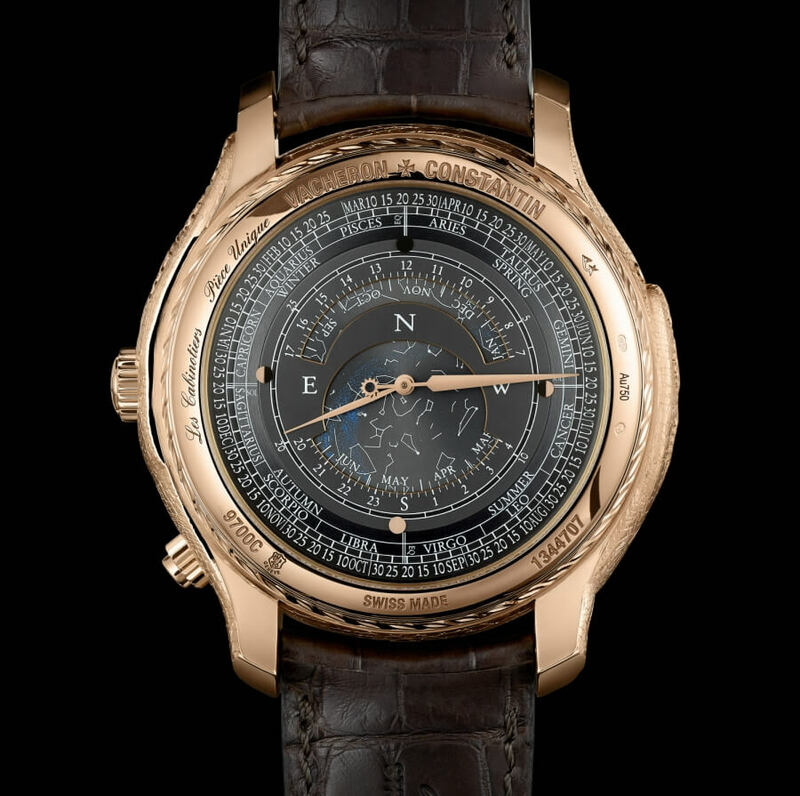 The crafting of the prestigious equation of time – serving to measure the difference in minutes between solar time and standard legal time – calls for considerable expertise. Setting the finishing touch to this first dial, a “customised complication” displays sunset and sunrise times, adjustable according to the reference city chosen by the client. On the back of the watch, the second dial is also graced with a wealth of functions, arranged on two levels. The central disc bears a sky chart as well as the four cardinal points. Two North and South openings reveal the month of the year and sidereal hours, corresponding to “true” time. A small hand running around the rim shows the age of the moon, meaning the number of days since the last full moon; while a long slender hand featuring a counterweight adorned with a tiny sun indicates the date as well as the zodiac sign, the season and the corresponding equinox or solstice. 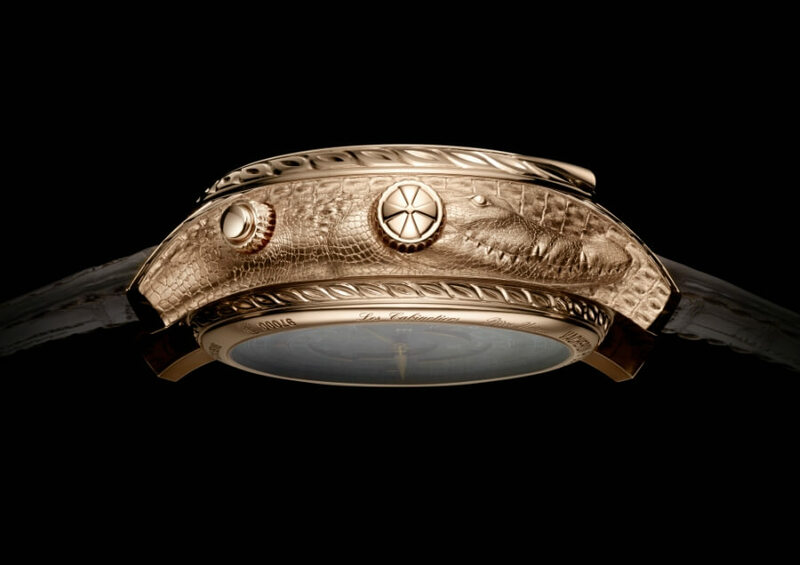 Among the most complex movements ever made by Vacheron Constantin, these two calibres – comprising 839 parts for the Grande Complication “Ornementale” and 836 for the Grande Complication “Crocodile” – endowed with a 58-hour power reserve measure just 33.90 mm in diameter and 12.15 thick. It was a genuine tour de force to incorporate the specific mechanisms governing the 16 or 15 complications into such a small space, to ensure they operate to perfection and to guarantee optimal legibility on a twin-faced display. Entirely developed and manufactured in-house, these calibres are housed in a 47 mm-diameter gold case whose characteristics are specifically designed to ensure the best possible sound quality of the minute repeater. In addition, each of the components, finely adjusted and harmonised to guarantee optimal performance, is distinguished by meticulous hand-crafted finishing. Les Cabinotiers Grande Complication "Ornementale"
This exceptional timepiece displays its multiple functions on two gold dials crafted in an elegant aubergine purple shade with a sunray satin-finish. The front dial is graced with applied hour-markers, Dauphine-type hands and finely snailed counters, suffused with the radiance of the finely crafted white gold case. The bezel, caseband, lugs and pin buckle are adorned with an ornamental pattern inspired by 19th century Victorian architecture. Reflecting the traditional skills cultivated by the Maison, this miniature sculpture represents a feat of dexterity and meticulous care, combining pounced ornament and bas-relief techniques with various types of fine line engraving. It required more than 150 hours of intricate hand-crafted goldsmithing using various burins and other specialised tools. Les Cabinotiers Grande Complication "Crocodile"
Engraved with the inscriptions “Pièce Unique”, “Les Cabinotiers”, and bearing the “AC” (Atelier Cabinotiers) hallmark engraved on the caseback, Les Cabinotiers Grande Complication “Ornementale” et “Crocodile” watches are fitted with a Mississippiensis alligator strap secured by a hand-engraved buckle and presented in an opulent Makassar ebony wood winder box, complete with a corrector pen and a magnifying glass.